Timely inform customers and guest visitors about product stock status and price changes with Magento 2 Out of Stock Notification. Better understand your customers preferences: quickly identify which products are highly demanded and timely refill them in your store! Magento 2 Stock Notification helps store owners to keep watch on customers preferences and manage stock effectively: check the number of new stock and price subscriptions, view the list of subscribers for particular product, see the ‘most wanted’ products and ‘recent activity’ subscriptions, etc. 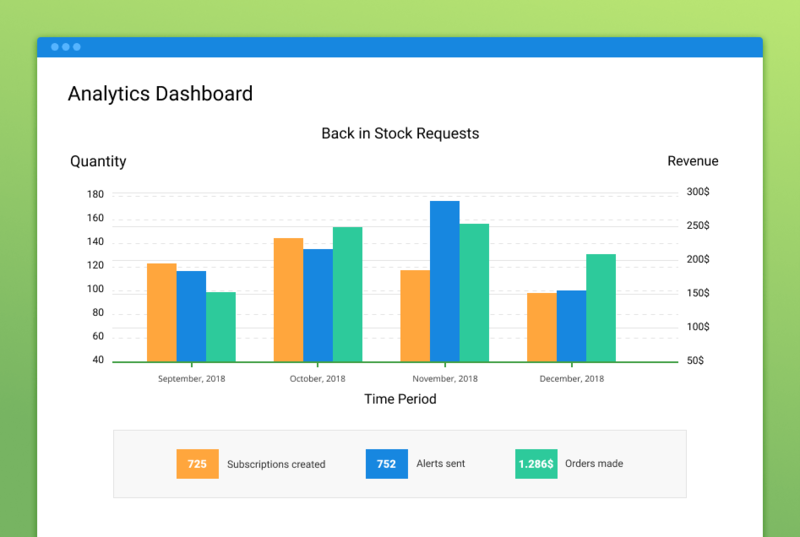 The ‘Analytics Dashboard’ displays reports about back in stock requests created, notifications sent and orders made. It allows to track the ‘most wanted’ products and ‘recent activity’ subscriptions. Use this data to know the preferences of your customers and maximize conversions of recently restocked items. Access the data on ‘back in stock’ requests with the next values: the quantity of stock subscriptions created, the quantity of stock alerts sent, the amount of money you get from the notifications sent. Analyze which products are really wanted by your customers. 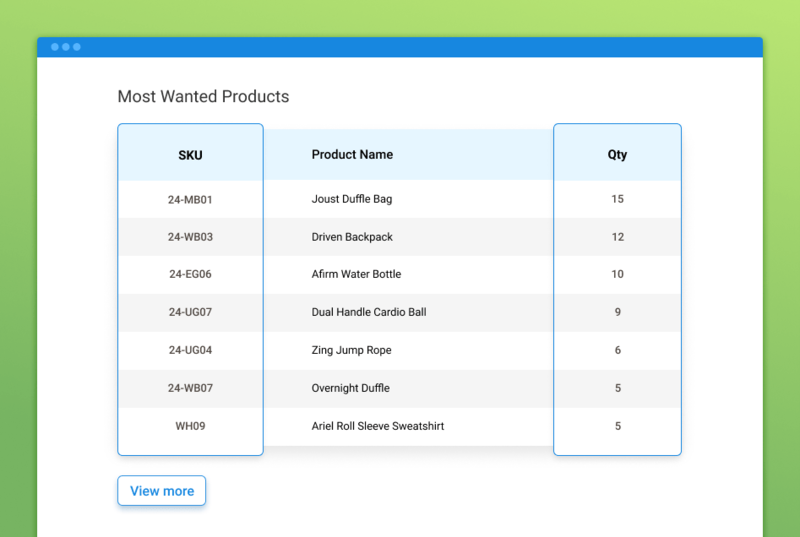 Check the list of ‘most wanted’ products with the quantity of stock subscriptions. See the list of subscribers for particular products with Magento 2 Out of Stock Notification . 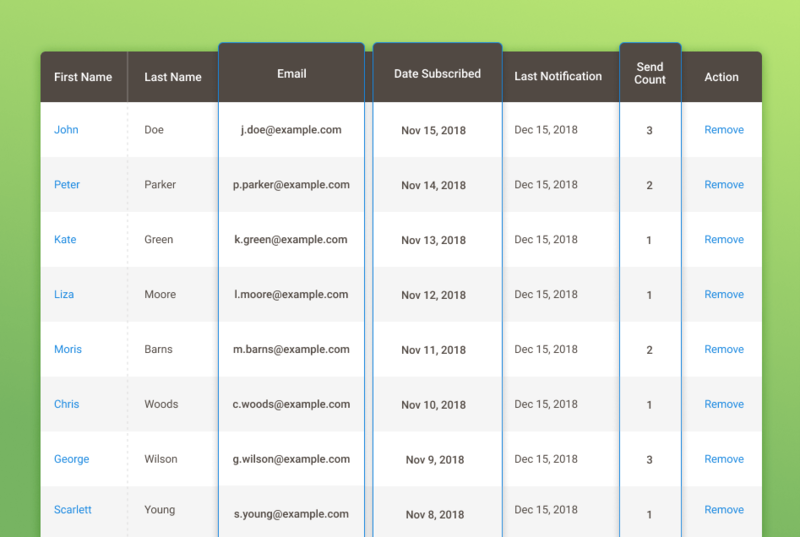 You can easily track subscribers by email, subscription date, send count or remove them from the list. 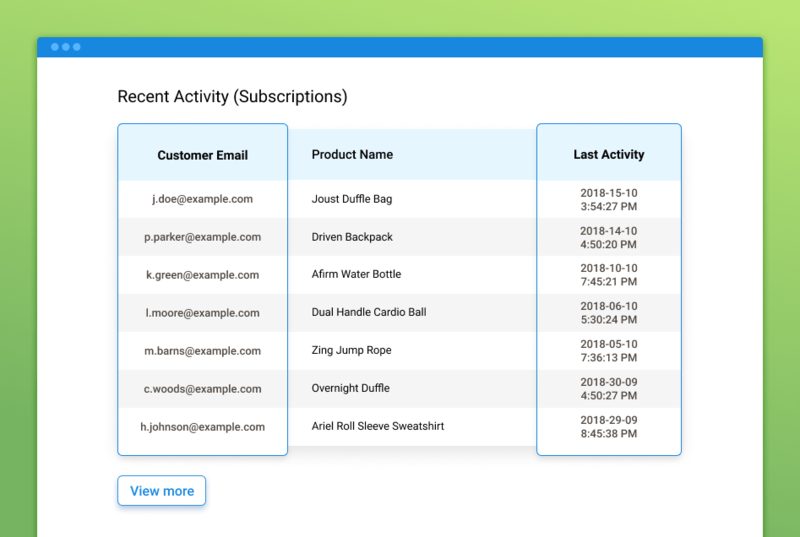 The extension helps to track your customers' recent activities (subscriptions). See for which products your customers subscribe and how often it is. Magento 2 Stock Notification allows to keep under control all stock and price subscriptions and track them in handy grids. In the result, you can refill the stock with the items customers really want to buy and see the products which customer waiting the price changes for. Monitor customers demand on your products: see how many notifications attempts were made and on what products. Timely collect the information to improve purchasing process and not lose your customers. Understand better how many customers are waiting for the low price and on what products. 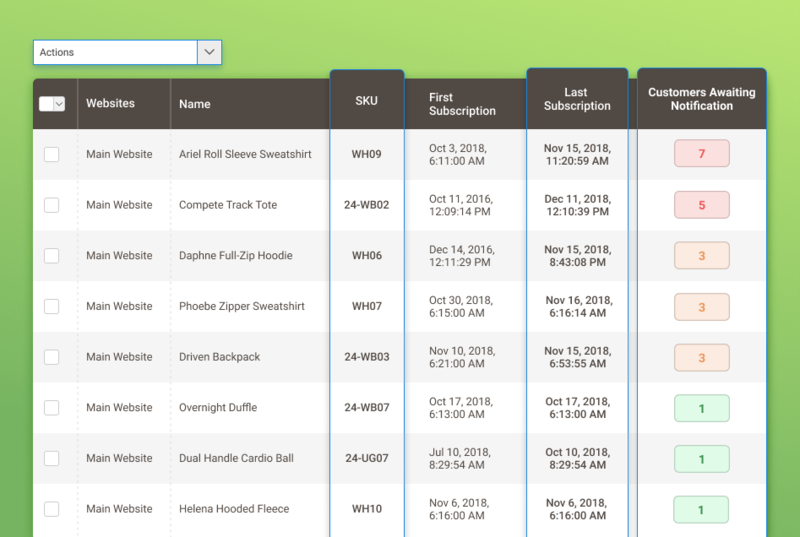 You can easily track price alerts list by product, last subscription and total number of subscriptions. 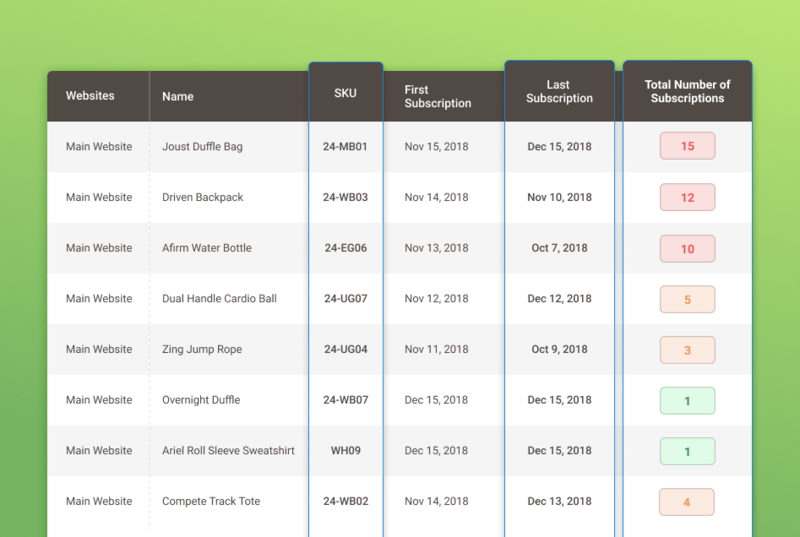 On the subscriptions grid you can see all existing subscriptions for each single item in the store. 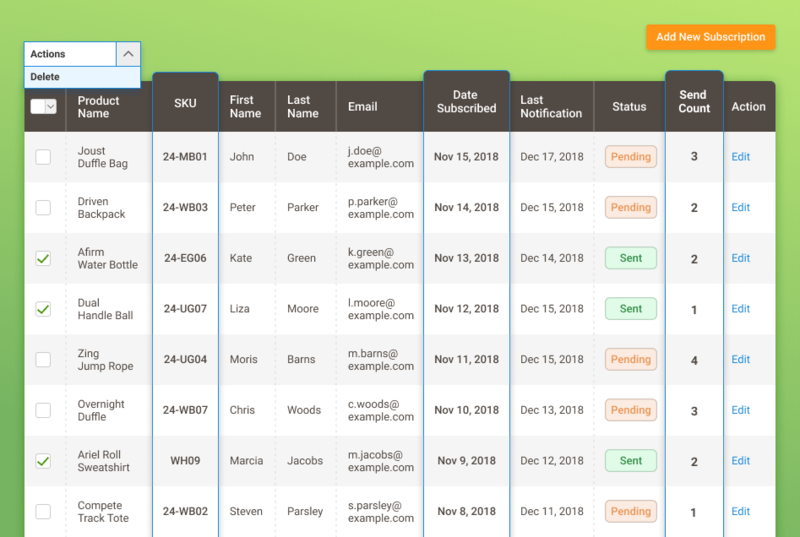 Check the progress and effectiveness of your notification system by tracking the number of notification attempts and viewing the actual notification status. 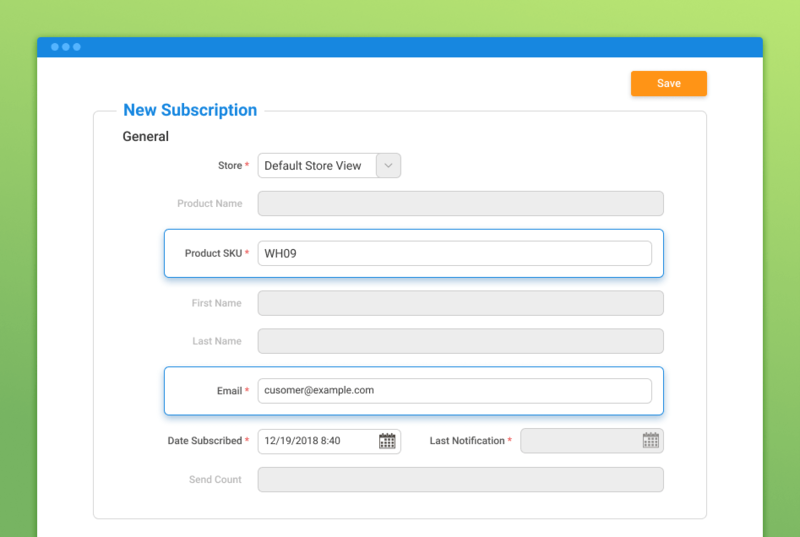 Сreate a new subscription for any customer or product right from the admin panel. If potential customers contact you via alternative means of communication and they are interested in out-of-stock products, you can easily keep them informed about the stock status change. Give shoppers a way to register for email or text notifications when the item becomes available. These notifications could save a sale. A patient shopper might be willing to wait for your business to restock, rather than heading to a competitor. You might also convert shoppers who were not ready to buy when they landed on your out-of-stock item’s page. Do you want to know your customers' needs better? We’ve used the extension for while. Works fine, good functionality. With subscriptions for guests, we increased the number of customers and total sales. Please add also subscriptions from the category page. – Fixed minor issues for the configurable, grouped, bundle products and individual products that are part of them.